This tutorial will review the user management in X-Cart. You can create customer roles and assign them to new or existing users on your website. This is a good feature that allows you to manage your employees and what your customers see on your website. You have the option to create users or create different roles on your website. This is an important feature as you may want to add employees to your website, responsible for different tasks. This way, you can group the employees together, instead of adding them and configure their access rights one by one. 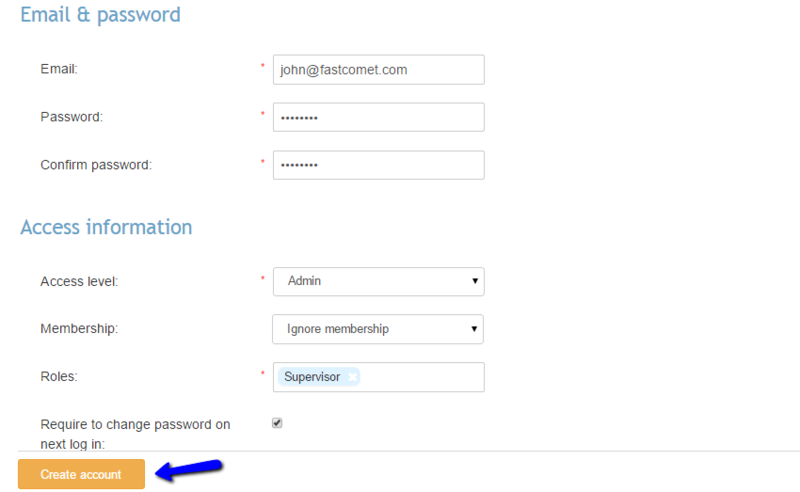 To create a new user role on your website, simply log in as administrator. Click on the Users button from the menu and then Roles. Click on the New Role button to create one. When you are ready, click on the Create button to save the changes. The system will automatically complete the rest for you. When you create the user roles you wish to use for your website, it is time to add new users. This can be completed automatically, by requesting from your employees to register on your website. Still, you also have the option to add them manually. For this purpose, click on the Users option on the main menu and then Users. Click on the Add User button on the page to add a new one. If you select the last option, the system will request from the new user to change his/hers password during the first login on your X-Cart website.